Greyhounds quietly won a major victory last week, when the Florida Division of Pari-Mutuel Wagering filed a new Animal Welfare Rule with the Department of State. This new rule carries the full weight of law, and will take effect on May 21. For the first time, greyhound trainers will be required to notify state regulators every time a dog dies on the grounds of a racetrack or greyhound kennel. This notification must be in writing, and must occur within 18 hours of the dog's death. This is an important provision that will increase transparency in the dog race industry. It will now be a requirement that all greyhound haulers be licensed. Greyhound trainers will now be required to maintain a "roster" which identifies each dog in their kennel. This roster must include the dog's name and tattoo number, the owner's name, the trainer's name, the dog's date of arrival and departure, and the name and license number of the person transporting the dog. Greyhound trainers will now be prohibited from keeping more than one dog in a racetrack cage. Racetrack officials will now be required to "complete a weekly documented walk-through" of occupied greyhound kennels. It's possible that this regulation would have prevented the sad death of dozens of greyhounds three years ago at Ebro Greyhound Park. These requirements are the end result of the passage of legislation we supported, followed by a long phase of administrative hearings. Throughout this process, we have fought hard for the greyhounds and encouraged the state to implement the strongest possible regulations. We are very grateful to the Division and its Director, Leon Biegalski, for demonstrating leadership in adopting this new rule. 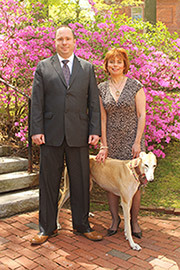 Thanks to their work, these protections will improve the lives of thousands of greyhounds. 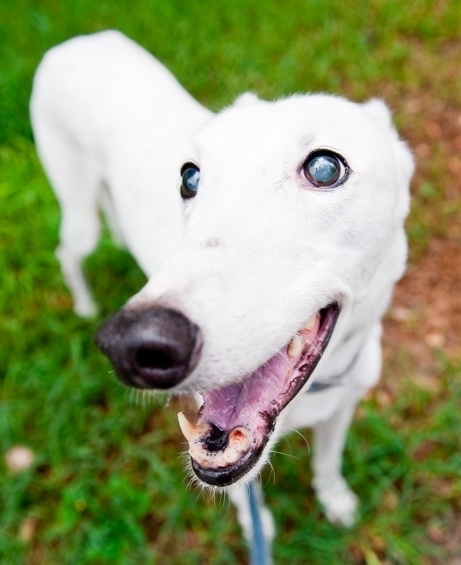 Finally, it's important to remember that every law is only as good as its enforcement, so it will now be incumbent on Florida regulators to ensure that these new greyhound requirements are adhered to. We must also remember that even with this historic victory, our job is far from complete. As humane advocates, we must continue working until the cruelty of dog racing ends completely. You can bet that at GREY2K USA, we will do exactly that. so will I need a license to haul greyhounds that are going to adoption from a Florida track back to our adoption kennel? You should contact the Division directly and ask them for clarification on this point. This part of the rule specifically applies to "racing animals" only. FL has made some progress, but sadly, both racing and abuse continue in this state, esp. in W Palm. I worked for that Division for several years and was constantly met with "brick walls" when requesting tougher rules be written (including documenting greyhound fatalities and euthanization; I am very grateful that they have finally decided to do their jobs. Greys smiles are growing wider and wider with each new victory. While so many thousends of these gentle souls will still die at the hands of greedy owners, they at least know that their offspring will have better laws protecting them, until the industry finally collapses of its own abusive weight. Thank You and Christine, and everyone who has supported and/or worked with you, to make these victories happen. It is truly fantastic work you do. This is great news, Carey. Thank you! Proud to be associated with Grey2K and dreaming of more progress soon. YES_YES_YES_---good for you . you go. you need to make this all public, people need to know. please if there is anyway it can be done do it. I know nothing about youtube or Soundcloud, but I do know a little of what goes on at the tracks, just from greyhound rescue and grey2k and what happened at ebrow 3 years ago and all the dead dogs that were found on a man's property as he was getting paid to kill them and they found some were still alive when the jerk buried them after shooting them. this was all over the news for all the good it did. get it out there for the grey's sake, PLEASE!!!!!!!!!!!!!!!!! The ONLY thing that these "people" care about re this sham of a "sport" is money - all I hope is that karma bites all these people right in the buns asap!